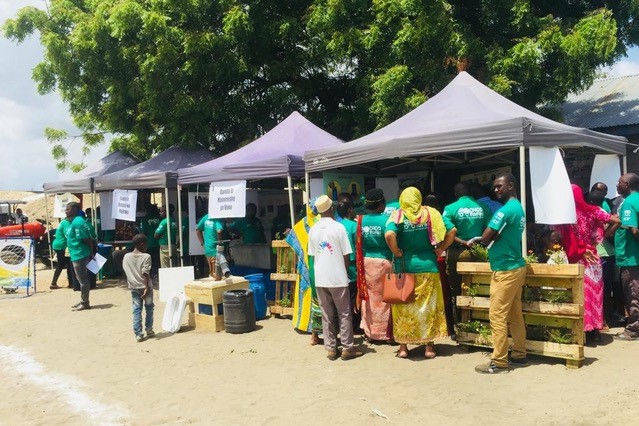 On 23rd and 24th November, BORDA hosted a 2-day “Bonanza” and Sanitation Exhibition at Mburahati Faecal Sludge Treatment Plant (FSTP) in Dar es Salaam, as part of the UKAID/HDIF project “DEWATS for Dar”, to pilot decentralised sanitation solutions in low-income, informal settlements. This two day "Bonanza” was the final event to inaugurate the newly constructed FSTP, as well as to launch the FSM marketing and media campaign. 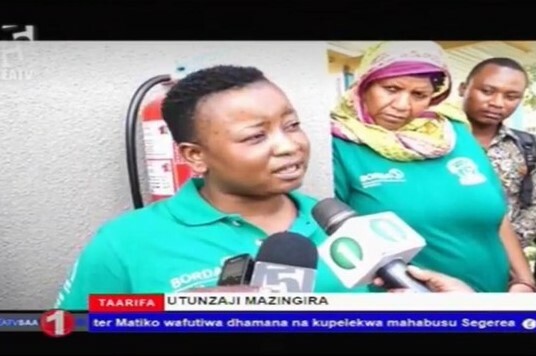 The campaign is called “CHOO RAFIKI” (Kiswahili for "Toilet Friend") with the slogan “NYONYA KISTAARABU” (Kiswahili for “Empty [your pit] in a smart way”). It was developed specifically for raising awareness on FSM within the community, but also more broadly throughout the city - and will continue to be broadcasted via radio and TV broadcasting, as well as newspapers, stickers, brochures, posters and through door-to-door visits. 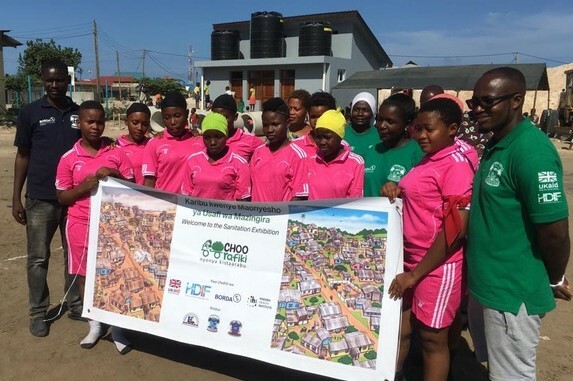 In addition to the launching event and sanitation exhibition, BORDA also facilitated community football and netball games for the local male and female teams. The winning teams received “Choo Rafiki” branded football uniforms, and live chickens. 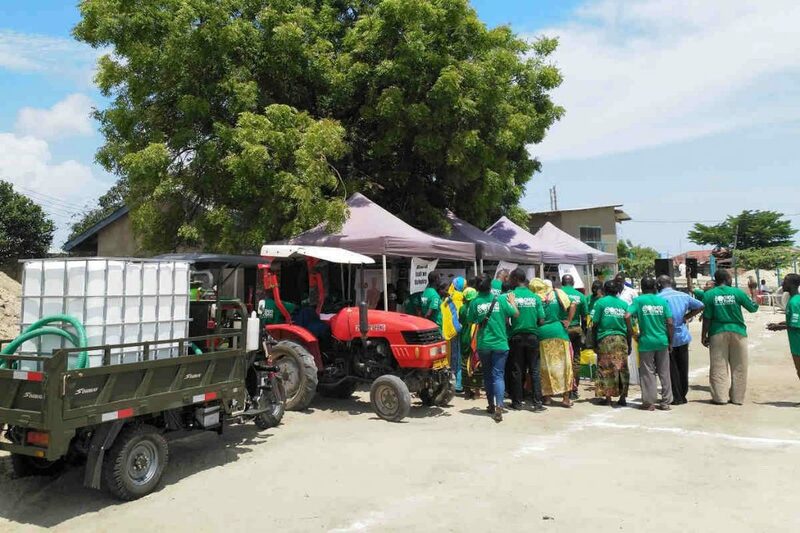 Faecal sludge services will now commence in Mburahati Community, with faecal sludge being emptied, transported and treated at the recently constructed decentralised FSTP. We are happy for the service providers to trial new pit-emptying equipment such as the eVac. Developed by Partners in Development (PID). The eVac uses a small but powerful vacuum pump to extract both watery and thick sludge, and is designed to access the most difficult locations and most restricted pits.